An Antarctic fur seal giving birth, or ‘pupping” at Cape Shirreff, Livingston Island. 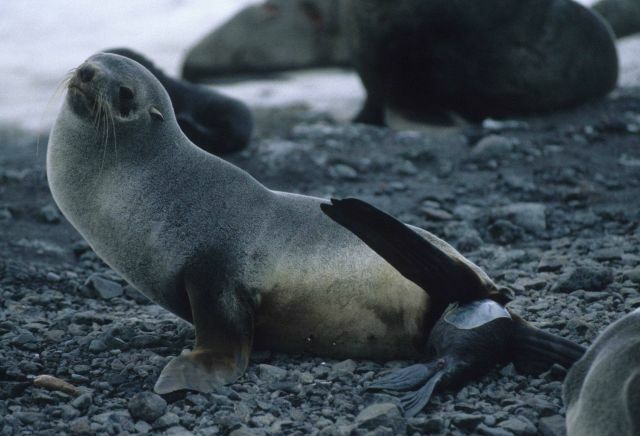 A female fur seal is pregnant for about a year, then gives birth to a single pup. About a week after birth she becomes sexually receptive and mates, and the reproductive cycle begins anew.